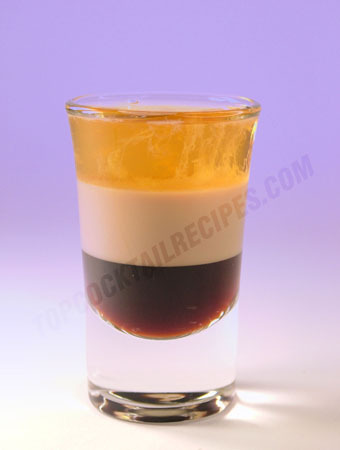 Layer each liqueur in a shot glass. Start with the Kahlua, then Bailey's and carefully Grand Mariner. Grand Mariner could be lighted for effect.